The Future of Customer Service - SalesChat.co : Live Chat Operators for Business Sales And Support. Thriving for positive feedback? Your customer service will play a big role as it is the front-liner of every company! See what the future tells. 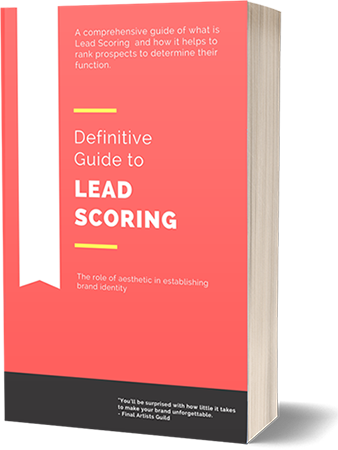 Every business wants to provide the best services to its leads. Keeping in mind that the purpose of customer service in every company will be a wide system that is a wide system that establishes interaction between the company and the customers at any time and at any place. Practically, it’s a way to fulfill the clients’ needs, caring for them and treating them with respect. To execute the customers’ needs, it’s a vital thing on how you treat them. When you want to exceed the expectations of the clients, you should be fully aware of what they want or what really the matter is? This can be done by questioning with prospects in a simple manner, by observing their behavior, by conducting customer feedback survey or by conducting focus groups. The success of customer service relies upon satisfying the customers’ commitments. For that, each thing in a customer service system should be in its right place. Systems and training should be conducted at the right time to ensure the customers’ complete satisfaction at all times. Satisfying the clients and improving customer service aren’t easy as some people think it might be. A minor negligence from the representative’s side can lose the customers. However, there are some strategies or tips that a customer service member should follow to avoid failing prospects. 1. Controlling the situation so the further inconvenience is prevented. 2. Acknowledging the situation to show you really care. 3. Refocusing the conversation to innovate the solution. 4. Problem-solving with the clients so they feel agency. By following these steps of C-A-R-P, the customer service can avoid any embarrassing situation in front of its prospects. It shortens the risk of committing mistakes and unnecessary abuse from customers. One of the major failures of the customer service is a poor listening habit. Some representatives can’t clarify the things at right time due to which clients get irritated and hence angry. There are four stages of active listening. By practicing these stages, one can overcome the poor listening and eradicate the embarrassing situation. Clarifying: Always ask questions to the customers so that you can easily access the customer’s ideas. Paraphrasing: Rewording what a client just said to verify what you comprehend. Reflecting Feelings: Use such phrases that demonstrate empathy towards prospects and show that you are paying complete attention towards the problem of your client. Summarizing: The most important point is to end your conversation with a short summary that depicts you have covered all the aspects of your conversation and no part is missing. Sometimes, customers rely on the products or services of a company but get disappointed. They neither predict where the real issue is not able to explain it to the customer service. Then it’s the responsibility of a representative to identify the root problem. Some questions to the clients can prove very handy to determine the concern. It is an important practice to establish faith on your prospects again. Asking about what exactly the problem is? When has this problem started? Have you ever face such a problem before? How often you face this problem? What would you do to eradicate this problem on your own? After asking these probing questions, summarize the answers back to them to ensure the customers you understand their problem and really trying to sort out this issue. But if you don’t know the solution, try to refer it to your senior. Customers always appreciate getting a right answer, even if it will take more time. The major part of customer service strategy is how good you are in using your analytical thinking to find a solution to a given problem. To plan a way to finding the solution, some questions proves very helpful. Have we enough staff to carry it out? Who will be involved in it? How much time is required to find a solution? What is possible stuff needed to accomplish the task? How will a customer be notified about a solution? If you have a case that’s not going along with your company’s policy but to help your customer, you can give him some useful suggestions. This will leave a positive impact on customer and he won’t get disappointed by the company. Finding a solution to the given problem gives happiness to both customer and company but sometimes the given solution is unable to resolve the problem. That is a very critical and embarrassing situation for the customer service to tackle such a condition. Many clients get angry at once. They don’t want to give you second chance and want an immediate solution. To avoid such a situation, here are some positives of spending a bit of your time on contacting these customers back. Show your clients that you really care about them and want to resolve their issue. Gather additional information regarding problem so that you can achieve the more accurate solution. Check if your solution worked and will be sure of it next time. After resolving their issues, try to send them to survey emails, calls or messages to make them ensure that you remember them and need their humble feedback. What did the Past look like? The customer service wasn’t like this as it can be seen today. Until the 1960s, it was totally different. It has limited technology and customers visited a shop or market by themselves, purchased or returned the product there. You can imagine how customers and vendors felt difficulty in dealing with one another. With the advent of telephone service, companies and clients felt a relief to communicate with each other. This led to the development of call centers so that leads can easily give their response to the vendors. A call to customers was used to involve keeping track of paper bills and receipts. Although, call centers lessen the burden, it had also some limitations as it was only the mode of communication at that time. What does the Present look like? With the passage of time, science and technology had many advancements and facilitate every field. It also provided ease of customer service. With the advent of smartphones and the internet, customer service attained a new level. These modern trends gave the motivation to the companies to introduce new strategies regarding customer service. The use of the internet gave a helping hand to customers by providing the facility of online shopping. Hence, the concept of credit card made the electronic commerce easier. That way proves more convenient for the clients who can’t afford to leave their homes for grocery and purchasing. Extending the concept of home shopping, many companies have published their own mobile apps for online shopping to buy, return, or inquire online about any type of their product at any time. Social Media like Facebook, Twitter, Pinterest and more are very active these days. Through this, the customer service industry is extending further. Many people are always active on social media. Companies grab the attention of people by posting their new products and services. Some social media users also use these sites to give feedback to the companies about their products. Many companies use these channels to showcase their products, their upcoming events and also discuss the new trends with their clients. Many companies use YouTube as a venue to guide their products, its specification, services, guides, and tutorials. It is very convenient for a prospect to decide whether a product is suitable for him or not. Messenger chatbots are also attaining a position in customer service channels. This provides a way of giving an immediate response to the customers by generating an automated response to frequently asked questions so that a client doesn’t have to be put on hold for a long time. The advancement in technology is always enhanced and it will improve the customer service channels day by day. The future of customer service will have the concept of artificial intelligence and machine learning technologies. The computers can interact with their clients and also perform tasks for them. 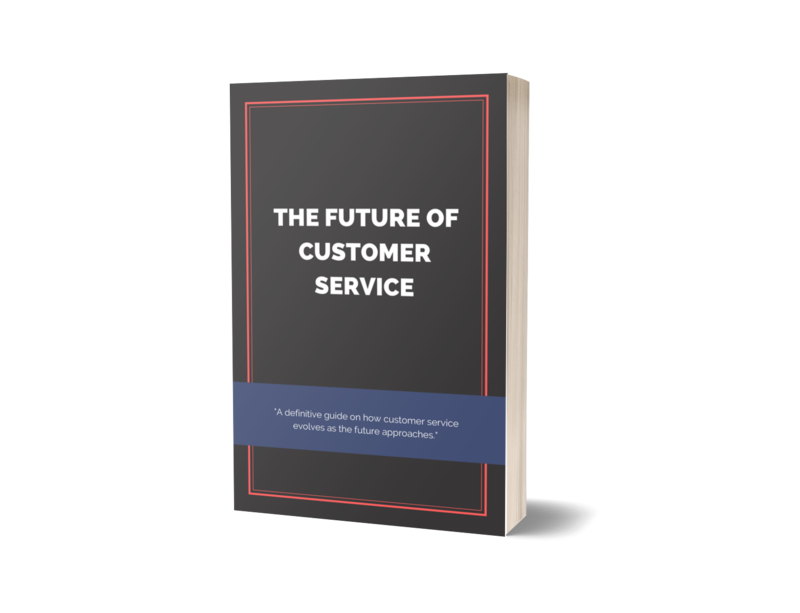 Some people can take it as a drawback as it will take away humans from customer service job but the reality is that it will be helpful for customer service representatives to make more accurate decisions about their customers. The sales teams and marketing teams will have to gain insight into their marketing strategies. The Artificial Intelligence concept will give them more intelligent assistance. This will result in the more personalized customer experience and will solve problems of customers for more accuracy. As artificial intelligence is proving itself day by day in every field of life, it didn’t leave customer service too. It is considered that almost within a few years, 85% of the customers will interact with the enterprise without communicating with humans. It doesn’t mean that customer service representatives will have lost their jobs but it will lessen their workload by accomplishing their basic tasks. By 2020, most of the companies will prefer live chat with the customers than just using cost-effective channels. It will give them direct access to the problems as well as the demands of customers and also will prove helpful in increasing the possibility of sales, revenue and customer loyalty. Every company wants to facilitate itself as well as its customers. For this purpose, the trend of hiring the virtual assistant is increasing day by day. According to research, at the end of 2018, 25% of the customer support and channels will integrate virtual customer assistant technology across all engagement channels. When you speak, you leave an impression on others. When we talk about customer service, their way of communication really matters because it leaves a mark on the customer’s mind. It’s a vital point that a company must place in its CSR training. A good body language and culture embedded with better customer service skills make a company memorable and special. Authenticity: Do your words sound like a personal connection, or are they corporate boilerplate? Positivity: Always be positive and avail the opportunity to improve. Memorability: Avoid to stop a customer in his tracks with clever, or funny phrases. Use appropriate and meaningful suggestions for your client. By focusing on these three points and training your customer service, you can achieve a better result. These skills don’t need much investment of time and money yet it proves a useful way to make a strong bond with clients. Sometimes, a situation happens that customer service representative can’t judge a client. Consider a situation in which a customer couldn’t pay a bill and he requests the representative for extra time of payment. In this situation, a company can’t judge a client. But an illustrative should always play a supportive role. He must listen to the client and assume that he really needs help.